Full Service Florist. Satisfaction Guaranteed. Family owned & operated for over 35 yrs. Specializing in unusual and high style custom arrangements. Something for everyones taste and budget. Serving all hospitals & funeral homes. Full service, satisfaction guaranteed. Family owned & operated since 1953. Specializing in high style & custom arrangements for everyone's taste & budget. We service all hospitals & funeral homes. We are recognized for being wedding specialists. Let us make it happen for you !! Full Service Florist. Satisfaction Guaranteed. Family owned and operated since 1976. 3rd Generation. Specializing in unique custom arrangements. Flowers for all occasions and budgets. Our goal is to exceed our customers expectations with quality care and professional service. Serving all hospitals and funeral homes. Full Service Florist. Satisfaction Guaranteed. 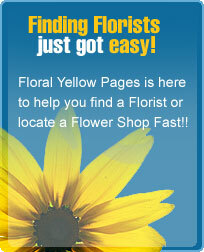 Family owned and operated with over 13 years of floral experience. Specializing in high style and unusual custom arrangements. Same day delivery if ordered by noon. Something for everyone's taste and budget. Serving all hospitals and funeral homes.